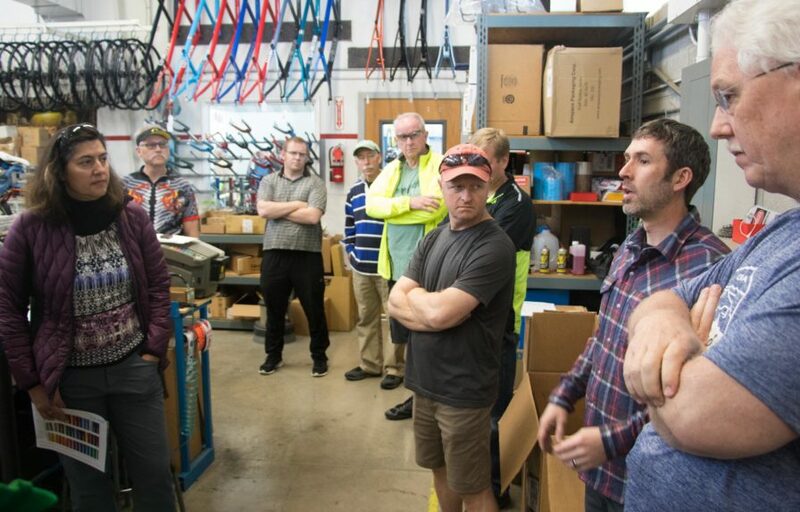 On Saturday, April 21, 2018, Bicycle Touring Pro readers from all across the western United States were invited to meet, ride bikes, and have lunch with me, Darren Alff – the Bicycle Touring Pro, at the Co-Motion Cycles factory in beautiful Eugene, Oregon. 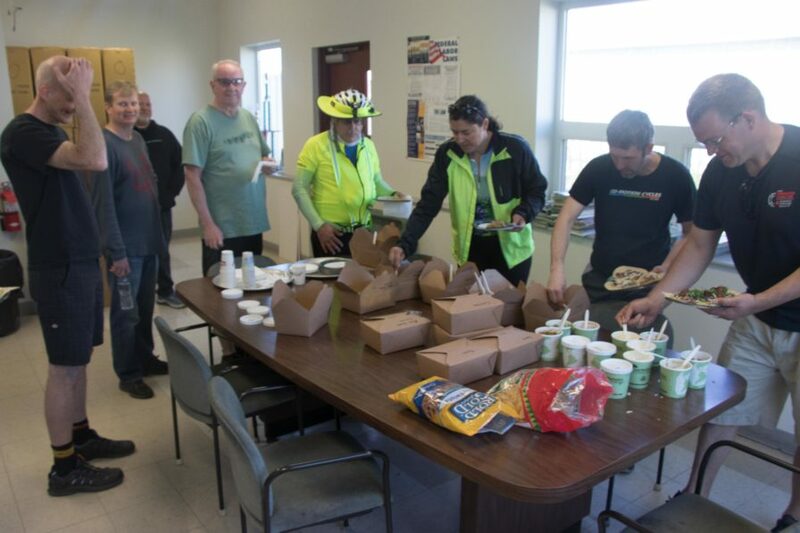 This was the first ever Bicycle Touring Pro meet-up/bike ride in the state of Oregon, and more than 30 people from California, Oregon and Washington were in attendance. 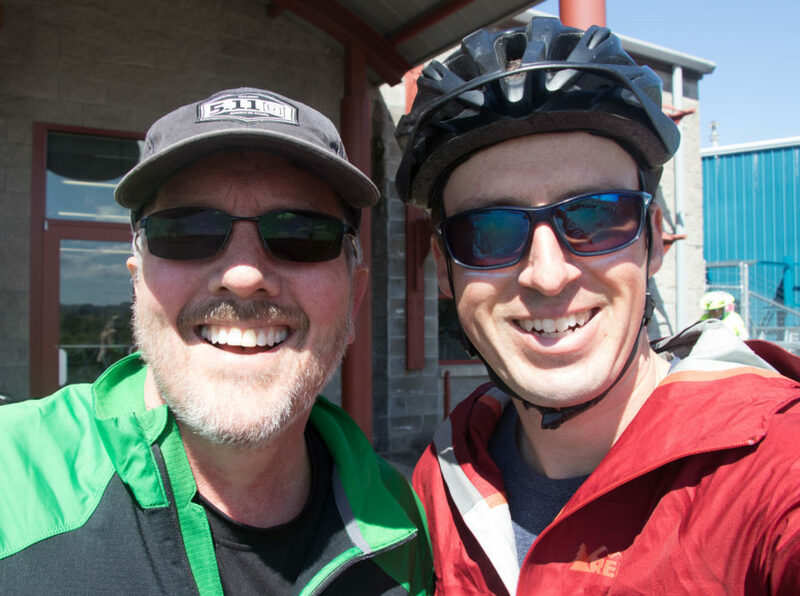 As you may or may not know, I (Darren Alff – the Bicycle Touring Pro) have been riding a Co-Motion bicycle on my bicycle touring adventures all around the world for the last 6 years. Since 2012, I’ve ridden my Co-Motion Pangea and Co-Motion Siskiyou across more than 50 different countries all around the world. 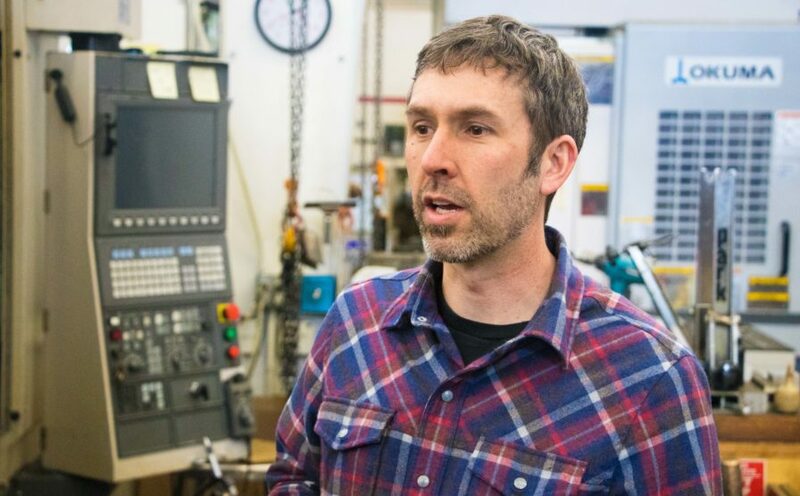 And on April 21, 2018, I finally had a chance to visit the place where my bicycle was designed, welded, painted and assembled – the Co-Motion Cycles factory in Eugene, Oregon. 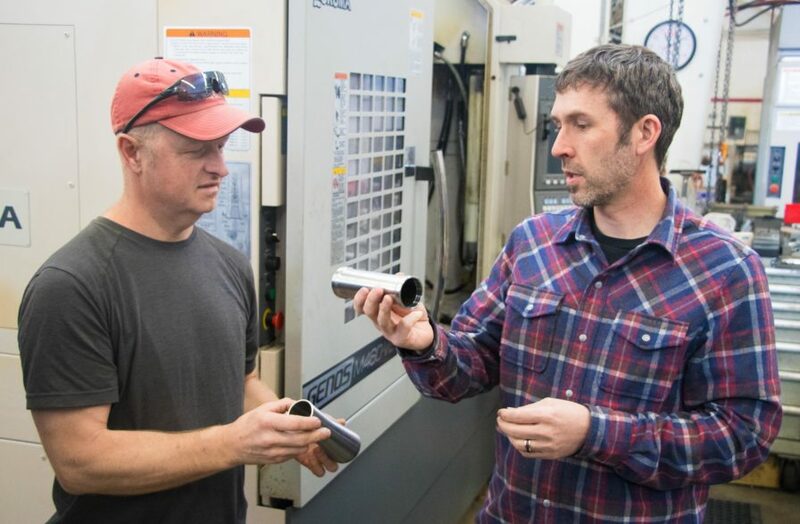 After assembling at the Co-Motion Cycles factory in Eugene, Oregon, we introduced each-other and then were given a tour of the Co-Motion building. On the tour we got to see how the metal parts of the bicycle frame are created and welded together. 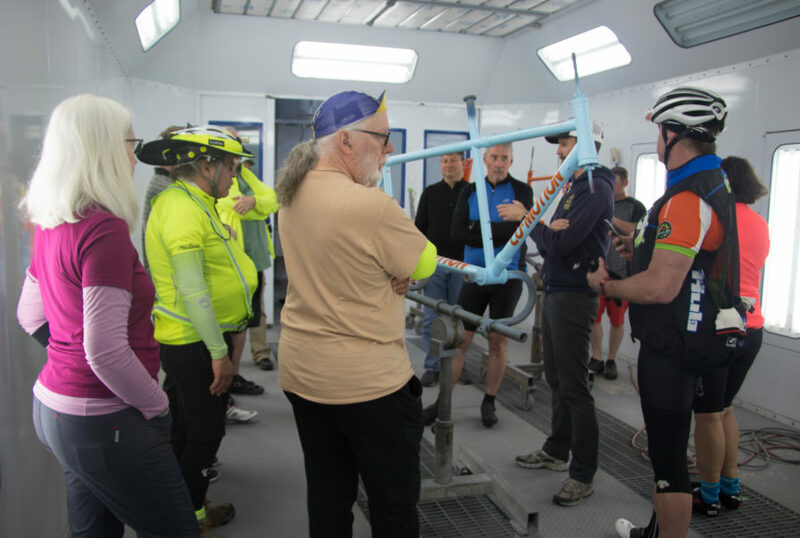 Then we were taken into the paint booth where we learned how Co-Motion Cycles custom paints each of their bicycles. You can choose to have your bicycle painted in a wide variety of colors, which helps to make your Co-Motion bicycle unique to you. 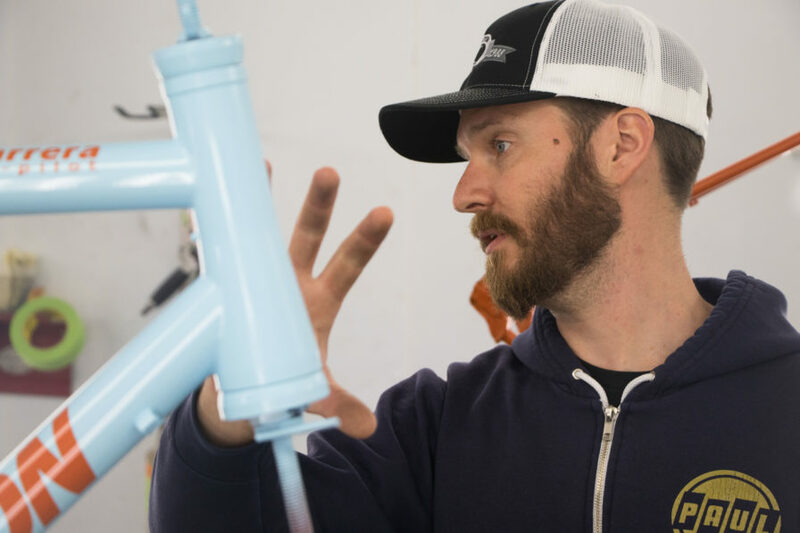 The paint process used on Co-Motion bicycles is very similar to the paint process involved with painting your car. 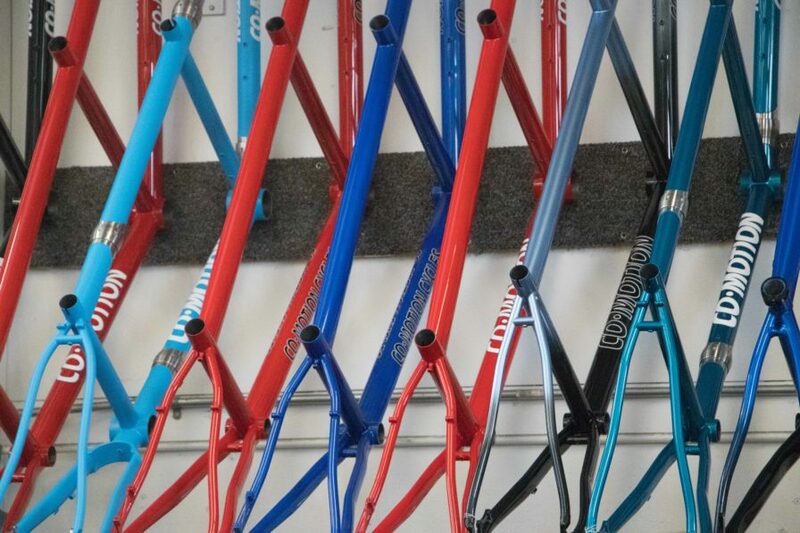 Here you can see the wide variety of paint options that are available to you when you order a Co-Motion bicycle. After the bicycle frames are painted, they’re packed in boxes and mailed to a local dealer, where they are then assembled and handed over to their new owner(s). 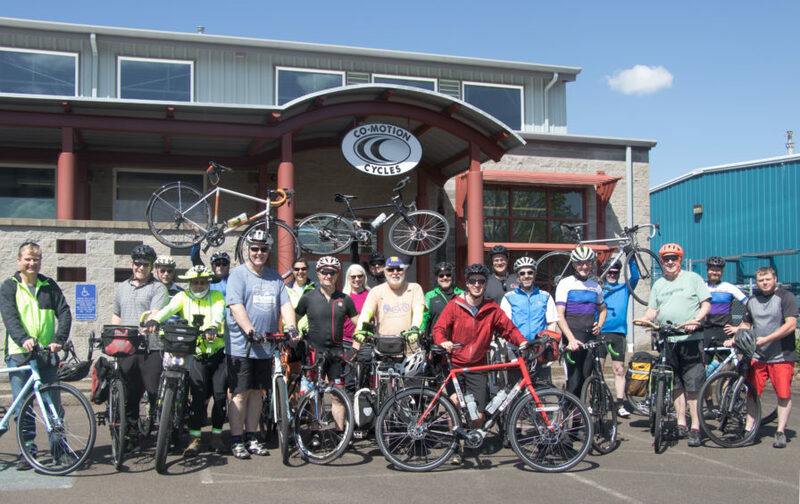 After we finished the tour of the Co-Motion Cycles factory, we went on a short 15-mile bike ride around western Eugene, Oregon. 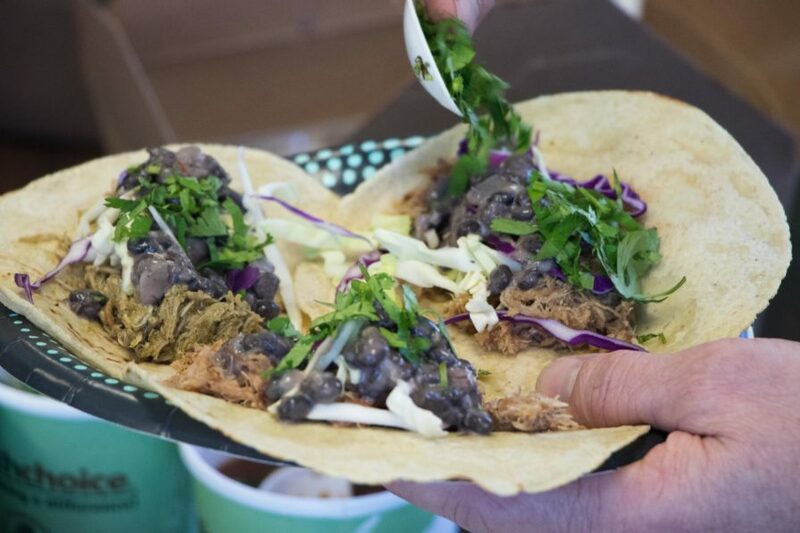 Then we returned to the factory for a taco lunch – which was provided by a local Mexican food restaurant. After lunch was over, everyone starting packing up and leaving. I took my photo with a few of my Bicycle Touring Pro readers… and then the day came to an end. 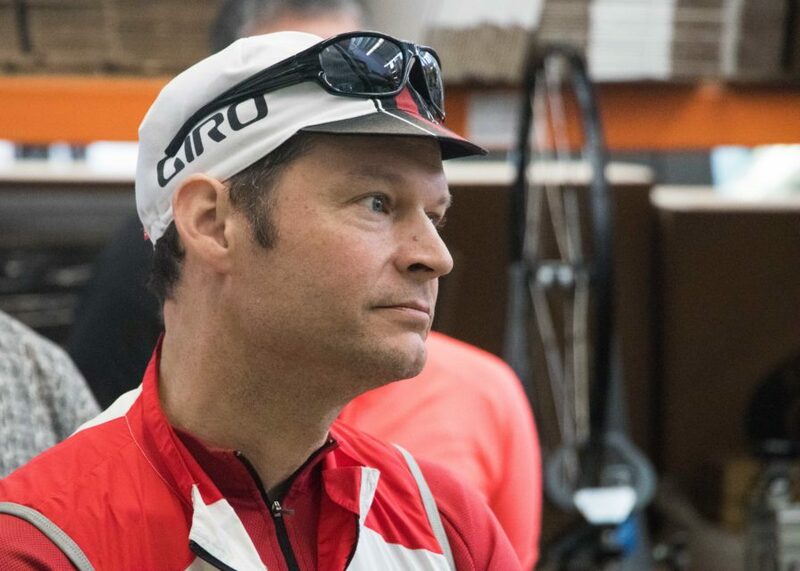 Thank you to Co-Motion Cycles for helping me host this event… and thank you to everyone who came out on April 21st for the day of the big event. It was so great meeting you all and hearing your stories. If you’d like to attend a future Bicycle Touring Pro meet-up, be sure to check out the EVENTS CALENDAR for a list of all future meet-ups and bike rides. This entry was posted in Bicycle Touring Pro Articles, Main Articles, Main Featured Articles, North America, Uncategorized, Website Announcements and tagged bicycle touring, bicycle touring pro, bike tour, co-motion, co-motion cycles, eugene, meet-up, meetup, oregon, taco, tacos, touring bicycle, touring bike. Hi Darren, It’s a great news. I really want to meet with the pro cyclist, though the distance is near about 664 miles from my place. I will try to attend this meeting. Please let me know, what is the deadline to do registration for this events? Hope we will meet. Best wishes for the meetup. Where do you live Janet? 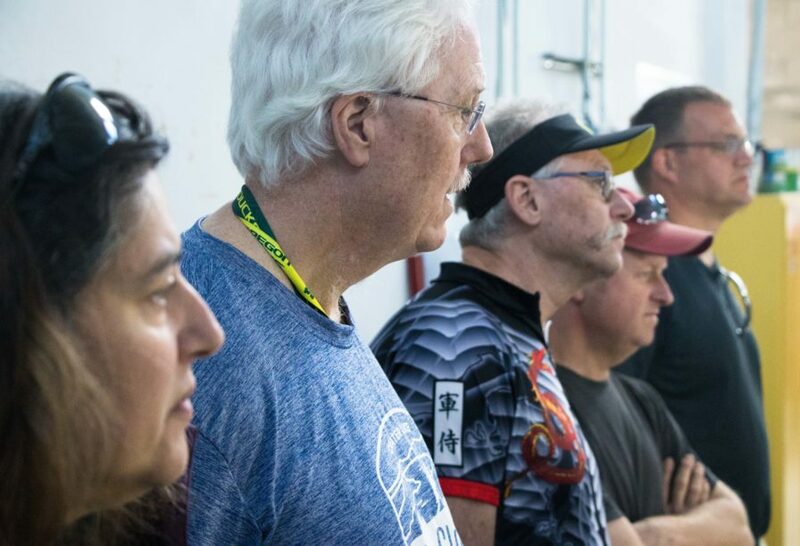 There is no deadline at this point for the Bicycle Touring Pro meet-up at the Co-Motion Cycles factory in Eugene, Oregon. The last day to register is probably a day or two before the event actually takes place. We are asking that people register just so we know how much food to order on the day of the event. If I don’t see you there, it would be great to meet up another time and in another place. Thank you Darren for reply. I live in California. Hope I can manage my schedule to attend the event. I would love to come but I will be 1 month into my ride from San Diego to Fla.by then. Good luck . I plan on going. Is there a bike trail map? I’m not sure which route we are going to be cycling exactly. But it will be a relatively easy ride. Something that anyone can do. I look forward to meeting you in Eugene.